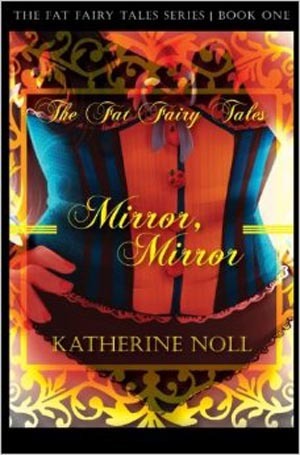 The first book of Katherine Noll’s The Fat Fairytales series. 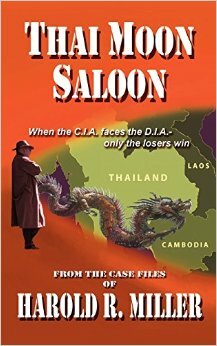 Get your FREE Kindle Version of “Thai Moon Saloon” Now Through June 27th! We are happy to offer yet another exciting book promotion this week! This time, it’s the first book in the Penn Gwinn Series, “Thai Moon Saloon” which we are offering for FREE on KINDLE from now until Saturday, June 27th. So if you love action-packed International Intrigue, download a copy of “Thai Moon Saloon” now and get ready for some fun! Get your FREE Kindle Version of “Red Devil” The Book of Satan” Now Through June 27th! In Celebration of yesterday’s release of “Green Devil: The Book of Belial,” we are happy to announce that, for a LIMITED TIME ONLY, we are offering the first book in the Evil on Earth Series, “Red Devil: The Book of Satan” for FREE on KINDLE from now until Saturday, June 27th. So if you love Supernatural Thrillers, download a copy of “Red Devil” now and let the adventure begin! “Impossible to put down battle of “Good vs. Evil” 5 Stars! “Couldn’t stop turning the pages” 5 Stars! “David Saperstein is one of the greatest literary minds of our era” 5 Stars! 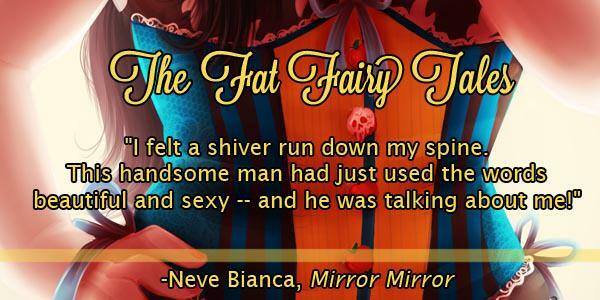 “Quick read with twists I didn’t see coming” 5 Stars! After you read the book, please give it a review on amazon! We’d really appreciate it! “GREEN DEVIL The Book of Belial” Available Today! David Saperstein’s Latest Supernatural Thriller “GREEN DEVIL The Book of Belial” is available today! 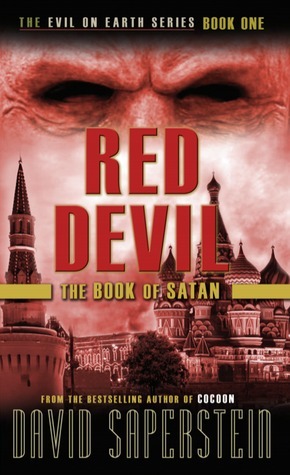 the follow-up to the critically acclaimed thriller “RED DEVIL: The Book of Satan” and the second installment in the four-part “Evil on Earth” series by best-selling author David Saperstein. GREEN DEVIL: The Book of Belial, a supernatural action thriller by David Saperstein, author, screenwriter, director and creator of the Cocoon franchise, hits bookstores and online outlets this June announced publisher Red Sky Presents. GREEN DEVIL: The Book of Belial is the second book in Saperstein’s “Evil on Earth” series about the four fallen archangels: Satan (whose story is told in the first book in the series, RED DEVIL: The Book of Satan), Belial, Lucifer, and Leviathan. All, exiled by God for their rebellion over the favor shown to mankind, exist on Earth and plot to destroy humanity. In GREEN DEVIL: The Book of Belial, “the despoiler of the Earth, the polluter of the air and land” takes on the guise of mega entrepreneur Nicholas Perez who plots to poison North America with leaked radioactive waste. He is opposed by a brave Mormon-Navaho alliance aided by a secret multicultural strike force of holy men called The Vigilant, the heroes of RED DEVIL: The Book of Satan, who previously hunted down and imprisoned Satan in China. “Not while I am alive,” Peter Somoroff promised. Belial, the Green Devil is one of the four fallen evil archangels. His goal is to obliterate God’s creation, mankind, by destroying the Earth’s environment. He has the ability to take on the form of animals and birds, but now exists in human form as businessman Nicholas Perez, head of the Victory Development Corporation. By catering to the greed of high-level government officials, he gains control over huge amounts of nuclear waste materials to introduce into the water supply of major cities. Only a small, dedicated, international and diverse group of men and women known as The Vigilant, are aware of the archangel’s existence. They alone stand between Belial’s evil plan and the salvation of the planet. An award-winning and best-selling author, Saperstein has written eleven novels including The Cocoon Trilogy (Cocoon, Metamorphosis: The Cocoon Story Continues, and Butterfly: Tomorrow’s Children) and Snatched, which is soon to be released by Simon and Schuster. In addition, Saperstein wrote the original story for the 1985 Ron Howard film, Cocoon which won two Academy Awards. “In his Evil on Earth series, David once again shows he is the consummate storyteller taking the reader on an action-packed, spellbinding adventure that is not only exciting but thought provoking as well”, said Micky Hyman, co-founder of Red Sky Presents. CAN’T WAIT TO READ THE BOOK? YOU CAN BUY IT HERE AT AMAZON.